? Berlei Support Factor 3 - High Impact. Reduces breast bounce by up to 50%.
? 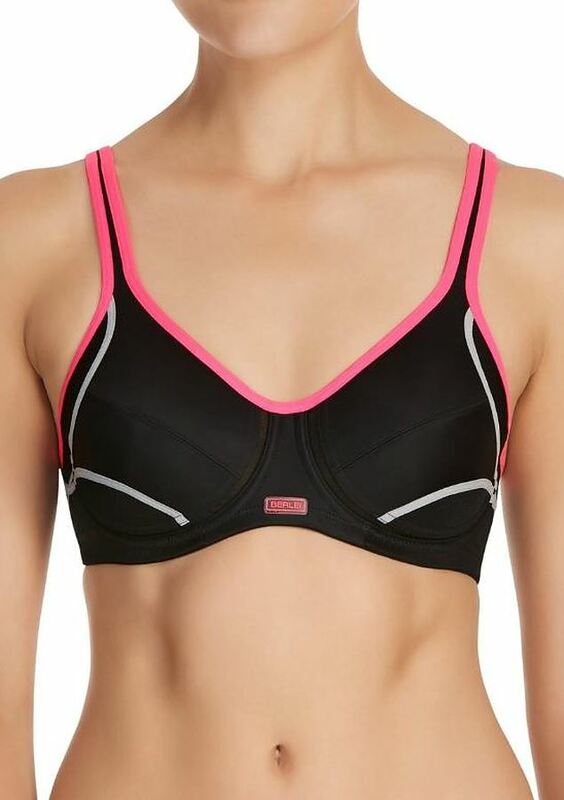 Our most popular sports underwire bra, is a high impact bra designed with fun vibrant contrast colours for a supportive workout.
? Mesh in the cup and back provides breathable panels for a cooler workout.
? Cotton lined cups provide added comfort during exercise.
? Cross over straps deliver additional support and versatility under clothing.